The BBC micro:bit pins are broken out to a row of pin headers. These provide an easy way of connecting circuits using jumper wires. The SCL and SDA pins are separated at the edge of the board (solder pads) providing easy identification. The PCB includes a prototyping area with 3V, 0V and unconnected rows that can be soldered to. This allows the easy connection of switches, sensors and any pull-up or pull-down resistors etc. as required. 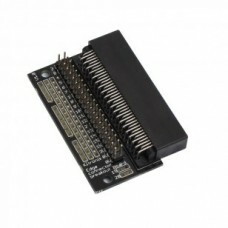 Features a dedicated pin strip for quick and easy prototyping. 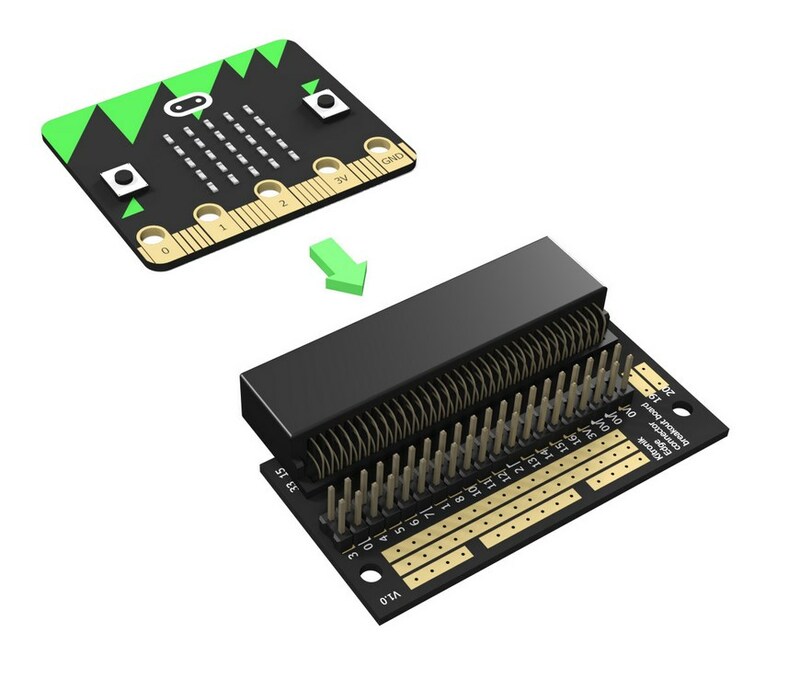 Breaks out 21 pins from the edge of the BBC micro:bit. 1 x Edge Connector Breakout Board for the BBC micro:bit, Pre-built.